(1) Leung, B., & Forbes, M. R. (1997). Modelling fluctuating asymmetry in relation to stress and fitness. Oikos, 397-405. (2) Klingenberg, C. P. (2015). Analyzing fluctuating asymmetry with geometric morphometrics: concepts, methods, and applications. Symmetry, 7(2), 843-934. Klingenberg, C. P., & Monteiro, L. R. (2005). Distances and directions in multidimensional shape spaces: implications for morphometric applications. Systematic Biology, 54(4), 678-688. Klingenberg, C. P (2011). MorphoJ: an integrated software package for geometric morphometrics. Molecular ecology resources, 11(2), 353-357. 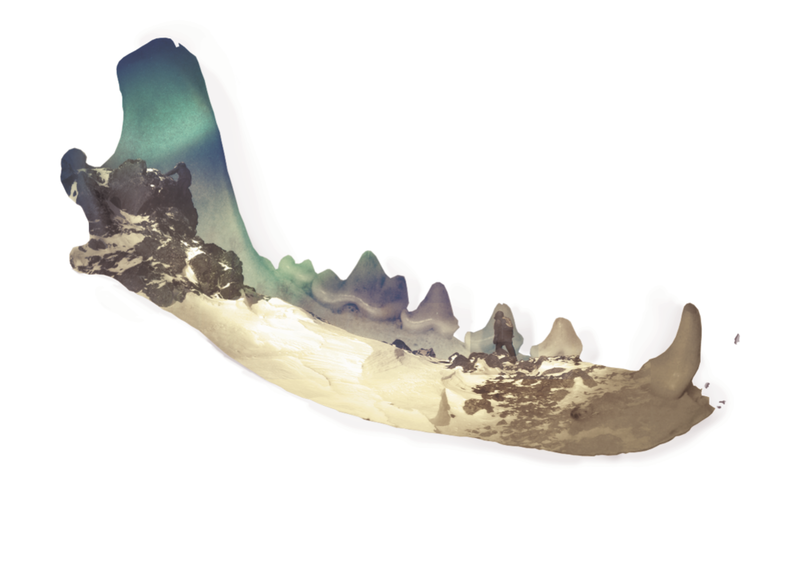 Madison Bradley will be measuring fluctuating asymmetry in the mandibles of the foxes from Dr. Ester Unnsteinsdóttir's dataset at the Icelandic Institute of Natural history. Fluctuating asymmetry (i.e. asymmetry in the body that has no left or right bias) (1) can be an indicator that there is an environmental stressor--such as pollutant exposure--that is disrupting an animal's development. We can measure fluctuating asymmetry in 'pairwise elements' within the body, like two hands, or two wings, or two halves of a mandible. If an entire population of individuals is randomly asymmetrical (without a directional bias for either left or right asymmetry), it can be an indicator of some larger problem that is powerful enough to cause a population-wide disruption in development (2). The data accrued from this collaboration can inform our understanding of foxes and their connection with the land and sea. Dr. Ester Rut Unsteinsdóttir is a biologist who studies and dissects the bodies received from hunters. She works at the Icelandic Institute of Natural History and is the country’s leading expert on foxes, continuing the work of her late mentor Páll Hersteinsson. Iceland’s arctic foxes are the most populous and also the most persecuted within the Nordic countries. The government pays a bounty per foxtail in hopes of protecting eider duck farms and livestock from predation. The tradition of fox hunts has provided biologists with the perfect opportunity to research and record the lives of Iceland’s largest land mammal. For several decades, hunters have been donating their dead foxes to research, receiving no compensation outside of the life history reports of each kill.